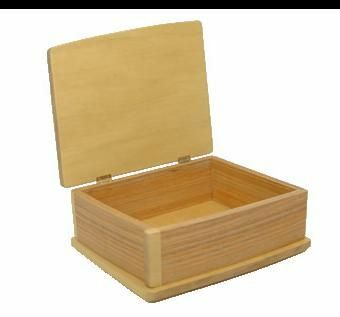 I enjoy making all variety of boxes, designed to hold keepsakes, or just to sit on display. This box is of my own design and is the third in a series of boxes made for the same customer who buys these for her new nieces and nephews. It was designed based solely on the customer's description of her new nephew's character. More boxes are shown on my website. 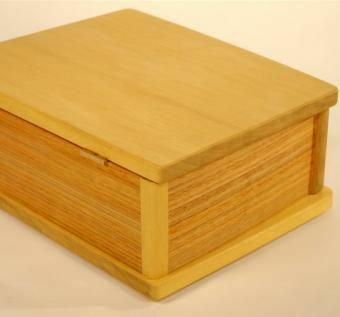 This solid wood box is a wonderful keepsake he\'ll have his whole life. The top and bottom (and three corners) are made of Pau Amarello. 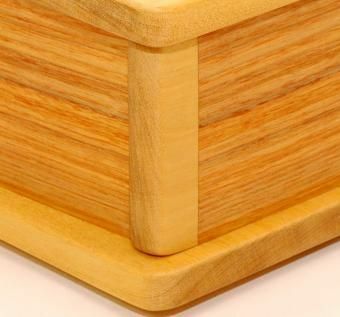 The sides are solid Canary wood, with the front and left side bent in a slight curve. Dimensions: 9" x 12" x 5"